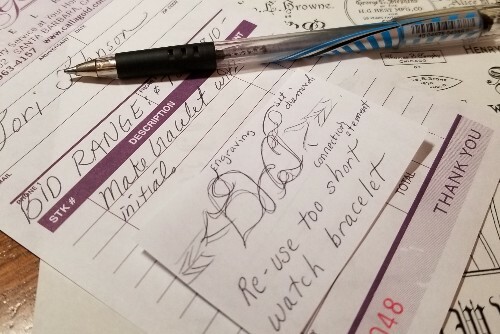 Whether you're changing your wedding ring, redesigning an inherited piece, or repurposing gifts that aren't being worn in their current state, we love repurposing! 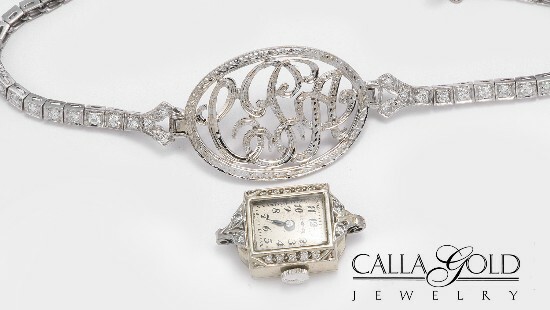 At Calla Gold Jewelry, when we meet our clients we usually start with repairing their first choice jewelry and get it all sparkly and tuned up. Then we ask if there are unworn pieces hiding in the bottom of their jewelry boxes. Out come these, sometimes unworn for ten years, items. It could be a gift that never hit the mark. Or an old boyfriend piece that you don't wear anymore. Or something you loved way back when and now it's dated. Or you inherited something from your grandmother. You love her, but that ring doesn't suite you. Our motto is "Wear it Don't Warehouse it." So pull out the un-worns and let's talk repurposing. We start with your piece or pieces of jewelry for consideration. If you pull out more pieces of jewelry to repurpose, it expands the possibilities of what we can make for you. If you have six white gold rings you're not wearing, and you think, "I don’t need another ring," let’s make earrings or a necklace. Sometimes you have an idea that we're happy to create. Sometimes you’d like some inspiration. We have many previous projects that we can show you to help spark the right new design. Some of the most frequently under-worn jewelry items we get to work with include, cocktail rings, old engagement rings, vintage pins, tiny faced watches and ill-fitting cuff bracelets. 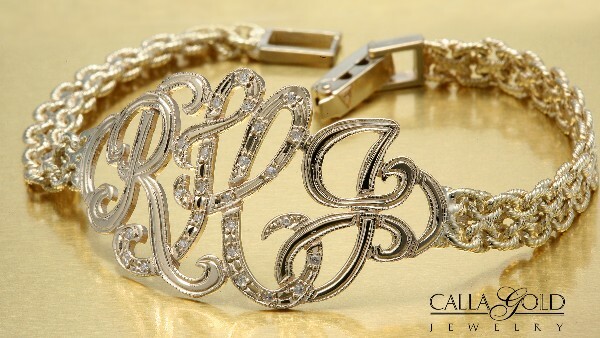 We often start by asking what type of jewelry piece you would like to have in your jewelry box. When a woman shows us family heirlooms that have been unworn for years, we like to remind her that the finished piece of jewelry will have a memory of the relative who lovingly gave it to her. Your new design will honor them. We'll show samples of different looks of jewelry to help find what you’d love to wear. 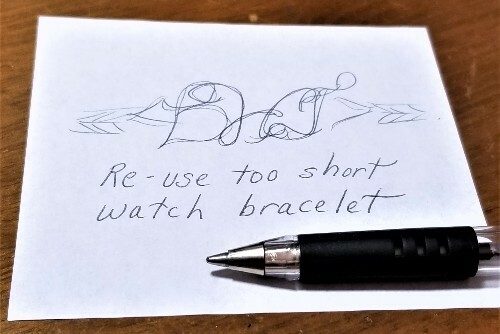 A simple sketch is drawn to show what the finished jewelry will look like. Often when a new design is figured out, you may not have all the gems needed to create your design. 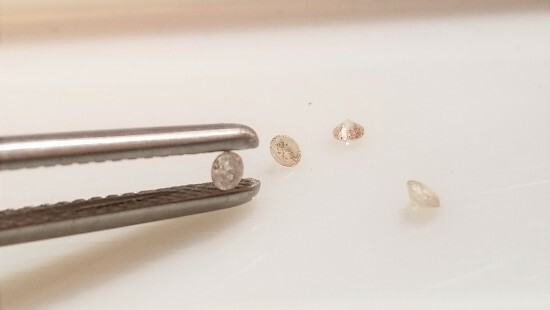 If your diamonds come from estate jewelry, your project will need diamonds with the same older cuts. We’ll carefully search for the vintage cut diamonds or gemstones to match yours. We’ll also discuss special finishes like hand engraving, matte finishing or hammering to create a unique look. These touches show your personality and will be part of the multi-step creation of the estimate for your project. Any gemstones to be used in your project need to be sourced. Sometimes we have to find a larger colored gemstone and re-cut it to match what you already have. Since proper gemstone selection is time-consuming, this can take a few days or weeks. Getting the right gemstones with the right cut is worth the wait. Special chains and clasps or other needed metal elements are also part of our job. Locating all the elements we need to create your design is a fun and exciting part of being your jeweler. We have a team. I don’t believe in being a Jack of all Trades. 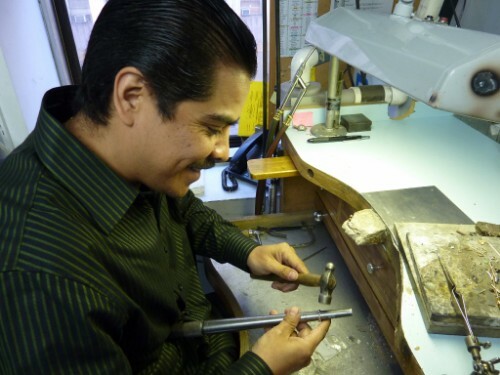 I work with gifted gem cutters, setters, casters, CAD technicians, and engravers in order to ensure that each step of your project is handled with expertise. The careful work of repurposing your piece or pieces is done with great care by our team. That moment of the reveal never gets old. Showing the finished jewelry to our clients is a joyful experience. Some of the pieces we create are gifts for family. Many of our clients love the idea of creating family heirlooms of the future. Repurposing and redesigning your unworn jewelry is a pure pleasure. Whether we are finding a new way to wear grandpa’s wedding ring or repurposing yellow gold jewelry into white gold or platinum pieces, the road ahead for unworn jewelry is repurposing! 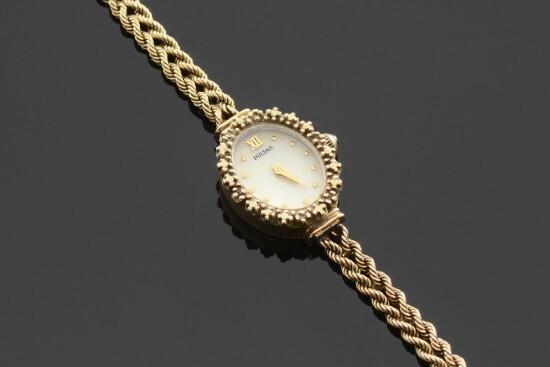 Inherited Jewelry – What to Do With Your Inherited Jewelry?